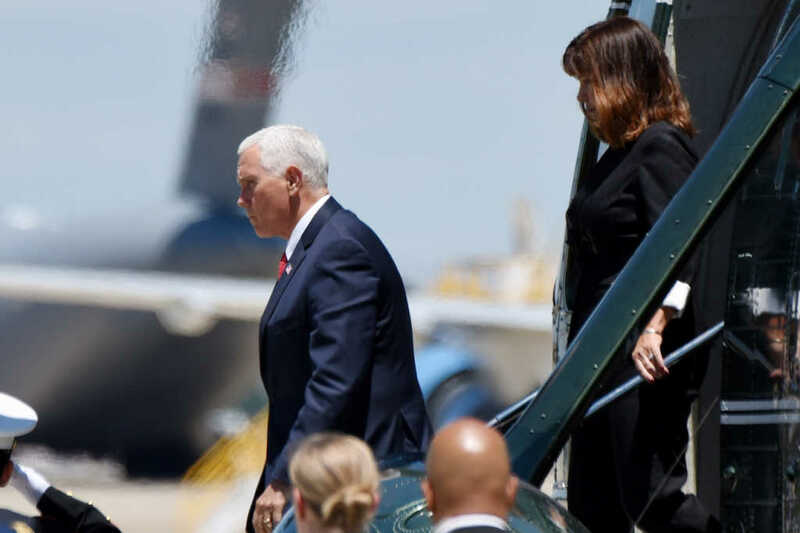 Vice President Mike Pence was quick to rush to help a young boy who had passed out waiting for the American leader’s arrival on a tarmac in Billings, Montana, earlier this week. When Pence’s airplane landed at Billings Logan International Airport on Tuesday evening, not long before he was slated to appear at a fundraiser for Republican Senate candidate Matt Rosendale, a young boy passed out from the heat, The Daily Caller reported. The young boy passed out while vice president was deplaning. Both Pence and his security detail immediately rushed toward the young supporter, navigating through a big crowd to get to him. The vice president and second lady Karen Pence stood nearby while first responders tended to the boy, who ended up being OK.
.@VP Mike Pence rushed to the aid of a young boy who passed out while waiting for the VP’s arrival in Billings, Montana yesterday. The Pences even posed for a photo with him once he stood up.